At PigCHAMP, we're always working on bringing you the best in swine management software. With each version of the PigCHAMP program that we release, there are new features and upgrades added. Version 6.6.0 has a number of enhancements including: PigCHAMP Mobile App, PCDF - a new way to move data, Open Sow report additions, and much more! Want to view more videos related to other PigCHAMP features? Check out the playlists on our YouTube Channel! Another World Pork Expo is in the books! Thank you to everyone one who stopped by our booth this year. It was great catching up with friends and getting to make new connections. We are already looking forward to next year! Give our Facebook, Twitter, and LinkedIn pages a like and check out photos and stories from WPX. Were you unable to make it to WPX? 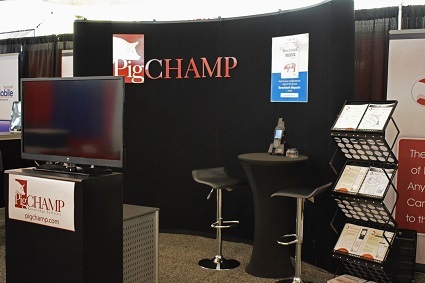 Visit our website or email us at info@pigchamp.com for more information on PigCHAMP and how we can help you. PigCHAMP's own Brenda Reichle is a local celebrity! 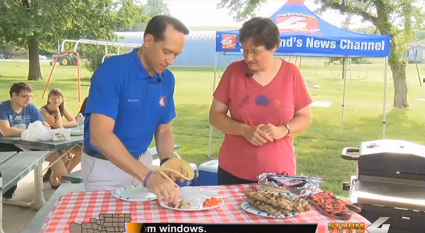 Brenda submitted her Grilled Pork Souvlaki recipe to Grillin' With News 4's weekly contest. Brenda was the weekly winner and was able to showcase her recipe on Channel 4! She has already won many pork-related prizes, including a pig-shaped cutting board. And she has the opportunity to win a grill from Bomgaars in August! Click on the photo above to watch the video and to get the delicious recipe! Congratulations, Brenda! The PigCHAMP team is excited to be bringing Jess, our Marketing Communications Specialist, on board! Jessica Manthe is a 2018 Iowa State University graduate with a double major in Ag Business and Marketing. She is originally from Kewanee, IL where she grew up on a small livestock operation. 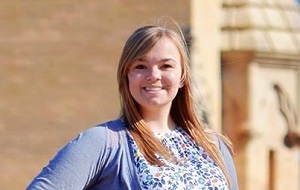 Her previous work experiences include marketing efforts for Farm Nutrients and the Illinois Corn Marketing Board, as well as crop scouting for River Valley Cooperative. Help us in welcoming Jess to the PigCHAMP team!